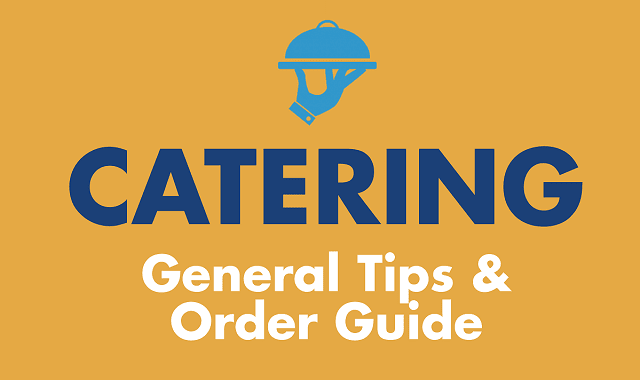 Catering: General Tips and Ordering Guide #Infographic ~ Visualistan '+g+"
Whether you are planning a huge company banquet, throwing a graduation party for your son, or even having an out-of-this world Christmas party, events can be stressful. Inevitably, you are going to want to feed your guests and that can add to the stress. Cooking, dishes, and cleanup can be a nightmare. In addition to this, what if you don't have enough dishes to serve everyone? Also, is your venue big enough? These and other questions might begin to pop up. When should you feed your guests? Is it okay to serve sandwiches at dinner time? How much food will every guest need? The list goes on and on. Need to put your mind at ease? All of these questions and more are answered by this infographic put together by Food For Thought Chicago. In it you will unlock secrets to ease your mind and get the perfect event that you always envisioned.